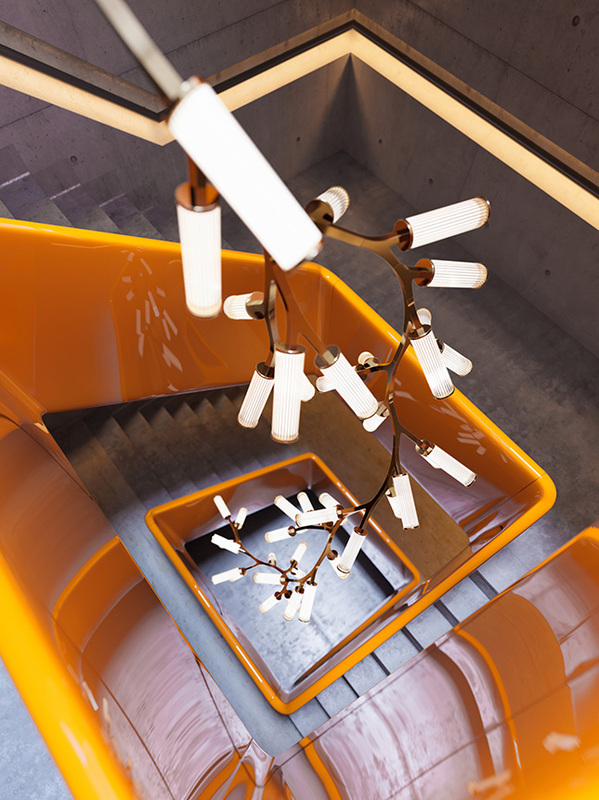 Cameron Design House is a British bespoke sculptural luminaire design and manufacturing company dedicated to quality craftsmanship, design and service. The bustle of vibrant central London and the tranquillity of the Finnish countryside. These contrasting places are the inspiration behind the Cameron Design House vision. The founder Ian Cameron has a shared history between the United Kingdom and the Nordic country and has combined these influences in his sculptural lighting pieces. Proudly designed and manufactured in Britain, embracing the British tradition of exploring the far reaches of possibility together with the Nordic premise of clean lines and maximising lightness, Cameron Design House prioritises both form and function to achieve unique, contemporary designs. 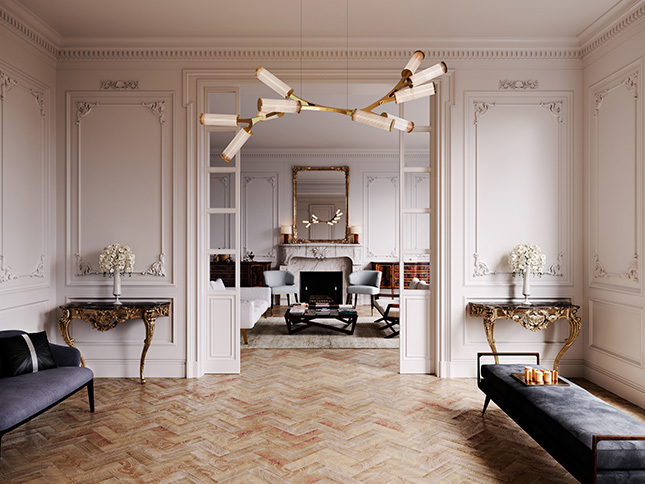 The luminaires are bespoke and handmade in our London studio by expert craftsmen and artisans. We combine organic and precisely engineered elements to create our feature installations, which are all customisable to your requirements. 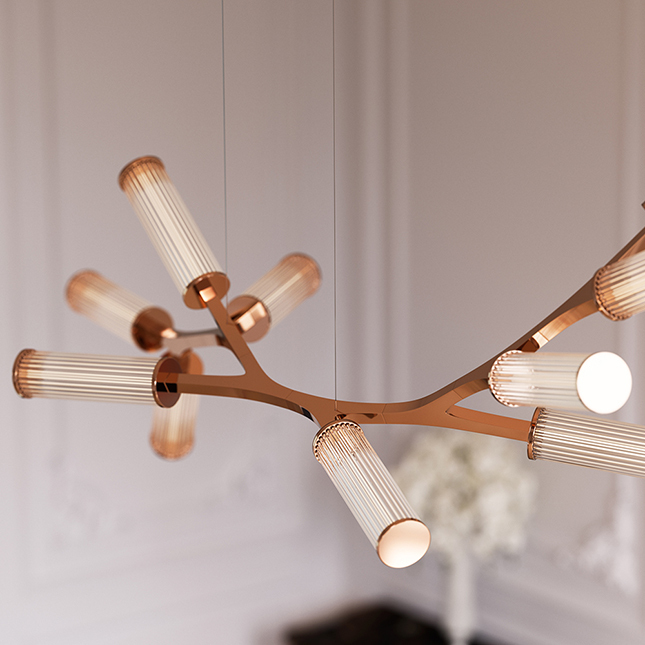 The branching frame of the Haara pendant has a delicate and finely engineered structure derived from close observation of nature.The cylindrical lanterns are assembled from hand-drawn glass and polished brass concealing the lighting element and creating a unique and beautiful lighting diffuser to be admired whether the light is on or off. As in nature, this piece can grow to suit any interior environment. A standard size is available as featured or the Haara can be entirely revisualised for our clients to customise size,configuration and finish. A direct descendant of the Haara, the Haara Metsa grew organically to form an ambitious chandelier. Designed to be hung vertically like a weeping willow branch the Metsa is a unique, contemporary statement piece at any size. 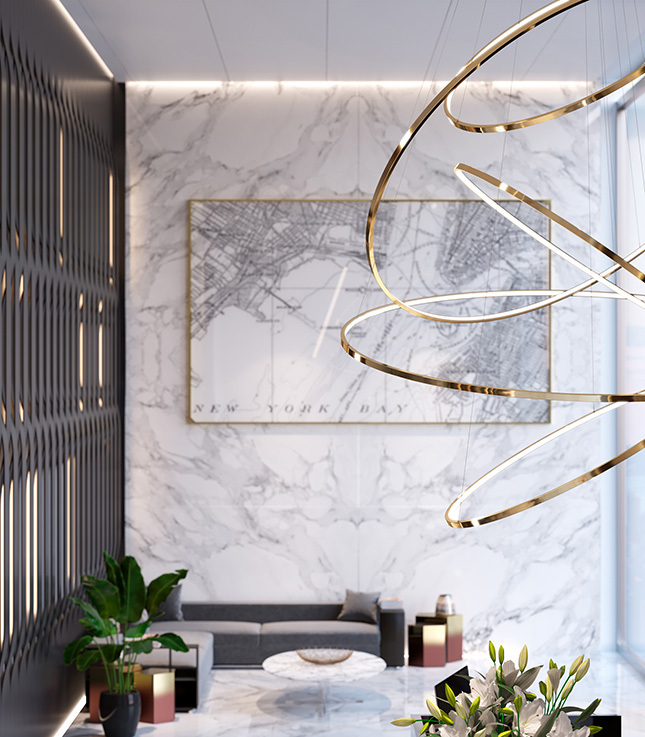 The cylindrical lanterns are assembled from hand-drawn glass and polished brass, concealing the lighting element and creating a distinctive and beautiful lighting diffuser to be admired whether the light is on or off. Bespoke options and design service available. This iconic Cameron Design House pendant light is inspired by the tranquil lakes of Lohja, Finland. 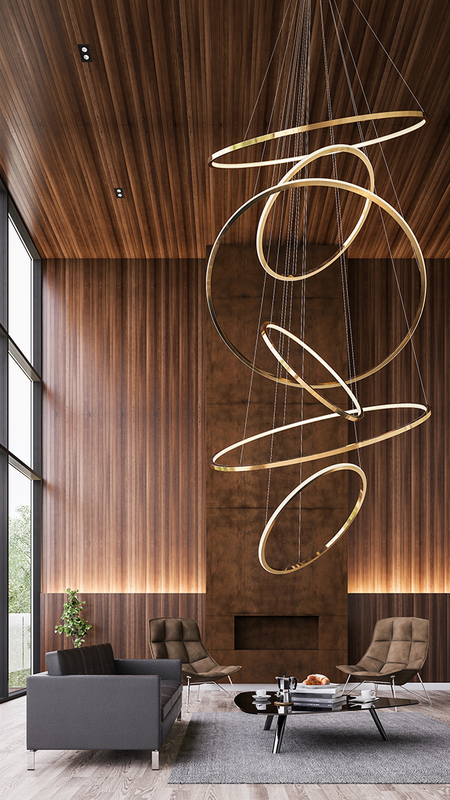 This contemporary design won The International Design and Architecture Award for best Pendant/Chandelier. Exploring tranquility, space and equilibrium, the Lohja combines simplicity with geometry creating a striking, balanced sculptural form which changes appearance from each angle. Bespoke options and design service available. The Vesanto’s strong geometric form and simple, clean lines are the result of designer and in house engineer Simeon Chilvers study of Buckminster Fuller’s geodesic domes, together with hexagonal forms in nature. Chilvers took the basic shape and allowed geometry and aesthetics guide the outcome. 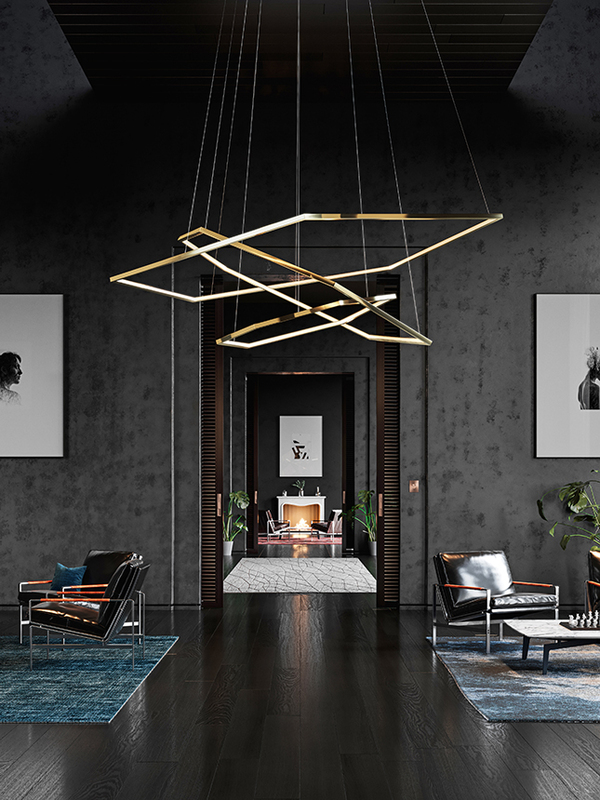 Available as a single or up to eight tiers, the Vesanto emits light through a pearlised diffuser placed along the internal side of each hexagon.